The Directorate of Sugar & Vegetable Oils is an attached office of the Department of Food & Public Distribution and responsible for implementation of policies regarding production, distribution and consumption of sugar including policy matters relating to sugar and sugarcane sector, fixation of Fair & Remunerative Price (FRP) of sugar cane payable by sugar factories to the sugarcane growers, development and regulation of sugar industry (including training in the field of sugar technology) and supply of sugar under public distribution system (PDS). 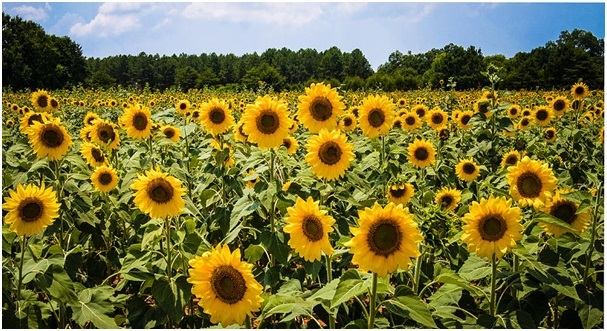 This Directorate also assists the Department in the management of edible oils sector, particularly relating to the availability and monitoring of prices. *Includes one refinery each in West Bengal & Gujarat. Sugar was distributed through the Targeted Public Distribution System(TDPS) by the States/UTs. at subsidized prices for which the Central Governments was reimbursing @ 18.50/- per kilogram of sugar distributed by the participating State Governments /UT. Administrations. The scheme was covering all BPL population of the country as per 2001 census and all the population of the North Eastern States/ Special category/Hilly States and Island territories. The National Food Security Act, 2013 (NFSA) is now being universally implemented by all 36 States/UTs. Under the NFSA, there is no identified category of BPL; however, the Antyodaya Anna Yojana (AAY) beneficiaries are clearly identified. The Government of India has reviewed the Sugar Subsidy Scheme and has decided that it is imperative to give access to consumption of sugar as a source of energy in diet, for the poorest of the poor section of the society i.e. AAY families. Accordingly, the Central Government has decided that the existing system of sugar distribution through PDS may be continued as per the following. ii.The current level of subsidy at Rs. 18.50/- per kg provided by the Central Government to State/UTs. for distribution of sugar through PDS may be continued for the AAY population. The States/UTs. may continue to pass on any additional expenditure on account of transportation, handling and dealers’ commission etc. over and above the retail issue price of Rs. 13.50/- per kg to the beneficiary or bear it themselves. The revised scheme was implemented w.e.f. 1.6.2017. 14 States are participating in the scheme and 6 more states are likely to participate. In FY 2017-18, Rs. 300 cr of sugar subsidy has been released, whereas in the current financial year, so far Rs.125.65 cr have been released. Sugar production in India has been cyclic in nature. Every 2-3 years of high sugar production are followed by 2-3 years of low sugar production. From the sugar season 2010-11 to 2015-16 the country could also generate surpluses for export, earning valuable foreign exchange in the process. But due to continuous drought like situation in Maharashtra & Karnataka during the last two sugar seasons, the production of sugar in the previous sugar season 2016-17 has been lower than the domestic demand. However, with the carry over stock of 77.10 Lakh Tons of last sugar season and estimated production of 202 Lakh MT, the sugar availability was sufficient to meet the domestic demand. *closing stock of one season is differ from opening stock of other season to account for damaged / wet sugar, sugar sold against court order. 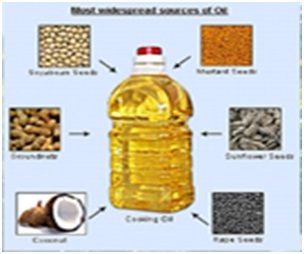 Source: * Daily Trade Mart Enquiry, Directorate of Sugar and Vegetable Oils. ** Price Monitoring Cell, Department of Consumer Affairs. Sugar is an essential Commodity. Its sales, delivery from mills, and distribution were regulated by the Government under EC Act, 1955. Till 15.01.1997, the exports of sugar were being carried out under the provisions of the Sugar Export Promotion Act, 1958, through the notified export agencies, viz. Indian Sugar & General Industry Export Import Corporation Ltd. (ISGIEIC) and State Trading Corporation of India Ltd. (STC). Through an Ordinance, the Sugar Export Promotion Act, 1958, was repealed w.e.f. 15th January, 1997 and thus the export of sugar was decanalised. Under decanalised regime, the export of sugar was being carried out through the Agricultural and Processed Food Products Export Development Authority (APEDA), under Ministry of Commerce. 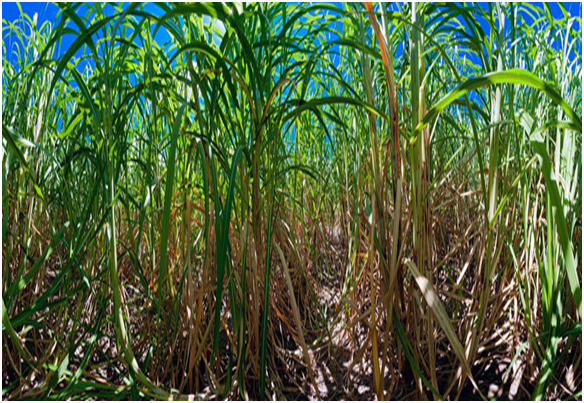 Thereafter, the sugar export was undertaken by the various sugar mills/merchant exporters, after obtaining the export release orders from the Directorate of Sugar. During the surplus phase of 2006-07 and 2007-08 sugar seasons, the sugar exports were permitted without release orders vide notification dated 31.07.2007. Subsequently, the necessity of obtaining release order was reintroduced from 01.01.2009, in view of drop in sugar production. However, due to surplus production during 2010-11 sugar season, Government permitted exports under OGL on the strength of the release order. The phase of surplus production continued and the Government vide Notification No. 1059(E) dated 11.05.2012 has again dispensed with the requirement of export release orders. Thereafter, the export of sugar was allowed free subject to prior registration of quantity with DGFT. Subsequently, w.e.f. 07th September, 2015, the requirement for prior registration (RC) was also dispensed. Due to expected drop in sugar production during 2016-17 sugar season, customs duty @20% was imposed on export of sugar w.e.f.20.06.2016.However, Keeping in view of production of sugar, stock position and market price sentiments, the Government of India has withdrawn the custom duty on export of sugar vide notification no. 30/2018 dated 20.03.2018. As per current policy, export of sugar under OGL is free subject to no custom duty. Import of sugar, which was placed under Open General License (OGL) with zero duty in March, 1994, continued with zero duty upto 27.04.1999. The Government imposed a basic customs duty of 5% and a countervailing duty of Rs. 850.00 per tonne on imported sugar with effect from 28.04.1998. The basic custom duty was increased from 5% to 20% w.e.f. 14.04.1999 in addition to the countervailing duty. In the Union Budget for the year 1999-2000, duty on imported sugar was further increased from 20% to 25% with surcharge of 10% . the customs duty on imports of sugar was again increased to 40% on 30.12.1999 and 60% on 09.02.2000 along with continuance of countervailing duty of Rs. 950/- per ton (w.e.f. 01.03.2008) plus 3% education cess. Sugar production in the sugar season 2008-09 had been declined and in order to augment the domestic stock of sugar, the Central Government has allowed import of raw sugar at zero duty under Open General License (OGL) w.e.f. 17.04.2009 which was applicable till 30.06.2012. Thereafter, a moderate duty of 10% was re-imposed w.e.f. 13.07.2012 which was subsequently increased to 15% w.e.f. 08.07.2013. Due to surplus stocks of sugar in the country and in order to check any possible imports, the Government increased the import duty from 15% to 25 % on 21.08.2014, which was subsequently increased to 40% w.e.f. 30.04.2015, which was subsequently increased to 50% w.e.f. 10.07.2017 .However, in order to prevent any unnecessary import of sugar and to stabilize the domestic price at a reasonable level, the Central Government has increased custom duty on import of sugar from 50% to 100% in the interest of farmers w.e.f. 6.2.2018. In order to minimise the regional imbalances in demand and supply for keeping the sugar prices at reasonable level, the Government permitted 8 Lakh MT of raw sugar import by sugar mills in two tranches of 5 Lakh MT at 0% duty and 3 Lakh MT at 25% duty for processing it to the white sugar and make available for domestic consumption. During the current sugar season 2017-18, the sugar production is estimated to be at 270 LMT which is sufficient to meet the domestic requirement. *Includes quantity under Advanced Authorisation Scheme. The Government Notified performance based production subsidy scheme vide notification dated 02.12.2015 which was subsequently amended vide notification dated 12.09.2016 to provide subsidy @ Rs. 4.50 per quintal on cane crushed during 2015-16 sugar upto 19.05.2016 (date of withdrawal of scheme) contingent upon achievement of targeted performance in respect of sugar export and supply of ethanol under Ethanol Blending Programme EBP (in case the mill have ethanol production capacity). Rs. 511.90 crore have been disbursed to 207 sugar mills under the production subsidy scheme till financial Year 2016-17. Sugar Industry Sectional Committee of Food & Agricultural Division( FAD-2), Bureau of Indian Standard(BIS), with the concurrence of Head, Food & Agricultural Division, BIS recommends the Indian Sugar Standards from year to year for use by the sugar factories, trade, Government Organizations, etc and to review the price differentials for different grades of sugar and other related matters. In order to improve and systemize the data management system in sugar sector, the Directorate of Sugar under Department of Food and Public Distribution has developed a web based platform (esugar.nic.in/sugar_pII ) for online submission of inputs by sugar mills on monthly basis. This has helped the Government to take prompt and informed policy decisions for better management of sugar sector. The new system also provides transparency in the data management of the sugar mills as well as Government’s working. The portal also provides window for online connectivity with the State Governments for getting inputs regarding production, stocks utilization of levy sugar for PDS, cane price arrears of sugar mills on fortnightly basis etc.